Domaine de Cantaussel terroir wines in the Minervois region. It is a unique terroir with a clay-limestone and sandy soil, stony, arid on the surface, moist in the depth and the topographic features include small parcels on the hillside or on terraces. The hot climate is tempered by the altitude and the fresh air (the Cers) coming from the Black Mountain nearby, with its big change in temperature between day and night, favouring the development of the polyphenols and aromas. The place is bathed in the powerful scents of the scrubland, which a trained noise will also find in our wines. So it is our job to help it. Especially on the hillside where any irrigation is inconceivable, so it needs help to spread its roots deep down to draw some water and some necessary nutritional elements (no harvesting before the sixth or even the seventh year). We also need to largely spread its foliage with a high trellis system, and reduce its production (25-35 hl/ha) by cutting the vines short and doing some green harvesting. It is a difficult terroir, where most things need to be done by hand. Deep sub soiling – respect of the spontaneous grassing in winter – compost intake and non use of chemical fertilizers – mechanical weeding in between the vine rows: all these activities help boost the underground life, an essential component to the well-being of the vines. 2011 is the year of the switch from reasoned farming to organic farming. The grape varieties are the local ones. Apart from the Carignan and some of the Grenache vines which are pruned in the goblet style, the vines are trained using the Cordon de Royat and high trellis at 4000 – 4500 feet/ha. The age of the vines vary between 6 and 60 years old. The treatments follow the principle of the reasoned culture (only what is needed and when it is needed, no systematic treatments), with an option for organic culture on the new plantations. 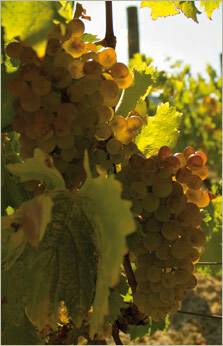 The harvesting is done at optimum phenolic ripeness, exclusively by hand, with sorting at the vine and at the winery. 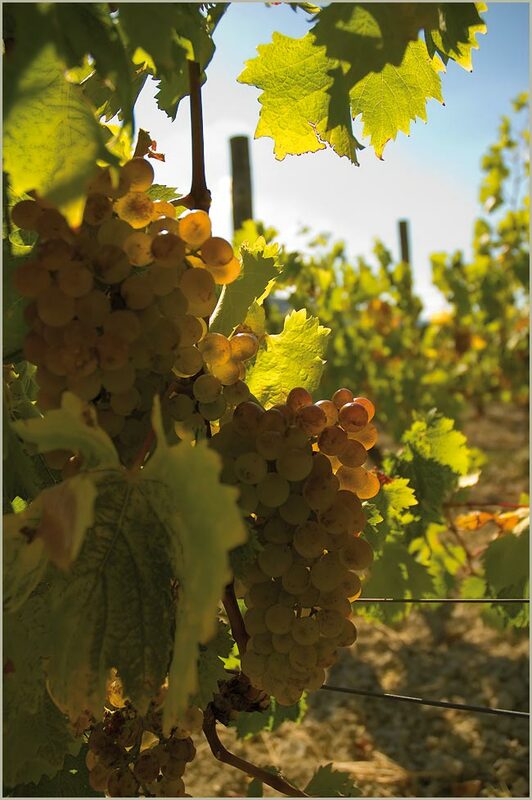 Cantaussel follows some simple principles: modern tools, traditional methods and above all respect for the grape, fruit of the earth, of the vine and the human labor. To this end, the winery was created to follow the gravity winemaking principles (from top to bottom superposition: grapes reception, fermentation tank, wine collection tank) in order to avoid any process which might be traumatising for the grapes. The grapes which arrive directly aligned with the vat, are delicately destemmed, sorted by hand and tipped over in the fermentation tank. Each grape variety and parcel has its own fermentation tank. The wine will now make himself. During eight days, the natural alchemy makes the alcohol on its own without any other intervention other than temperature control and a few “punching of the cap”. And then three weeks of maceration will result in extracting the most subtle elements from the marc. The free run wine will flow by gravity in the lower tanks, the marc will be tipped the same way in the mobile pneumatic press brought under the upper tank; this press wine will be kept separately. Autumn finishes and the wine starts hibernation, depositing its tartrates and fine lees. In spring, it will be racked, tasted, assembled and kept, depending on its purpose, either in tanks, in barrels or casks in a wine storehouse set in the rock, with optimal chill and humidity. One or two years of ageing will soften its tannins and bring all its complexity to life.